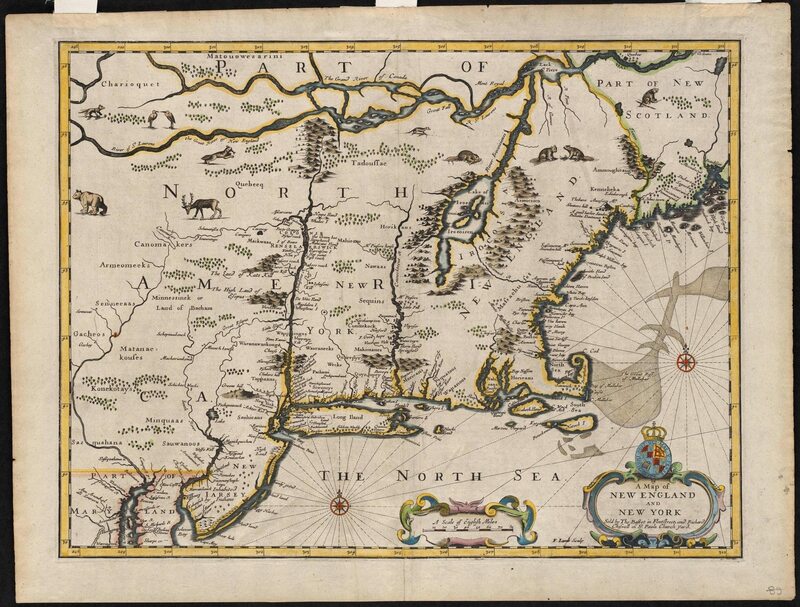 Hundreds of maps were created of the New World in the 15th, 16th and 17th century. 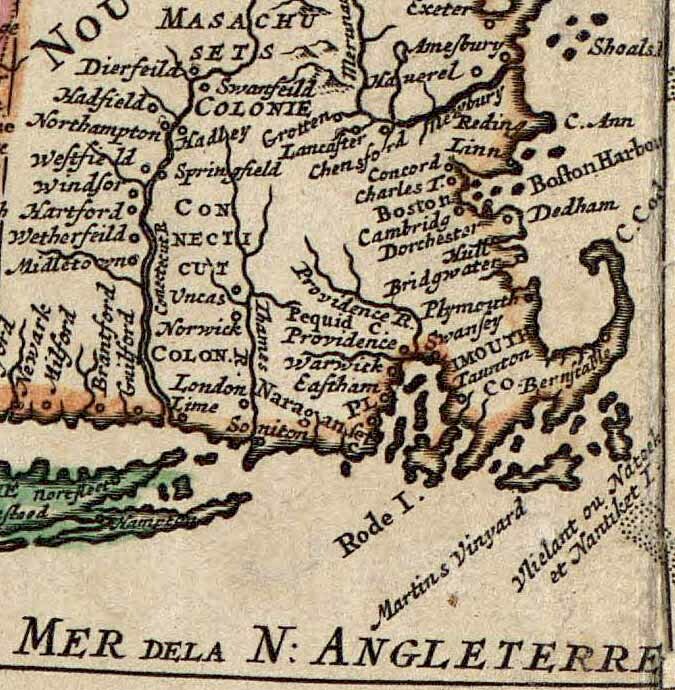 Some of them included New England.. 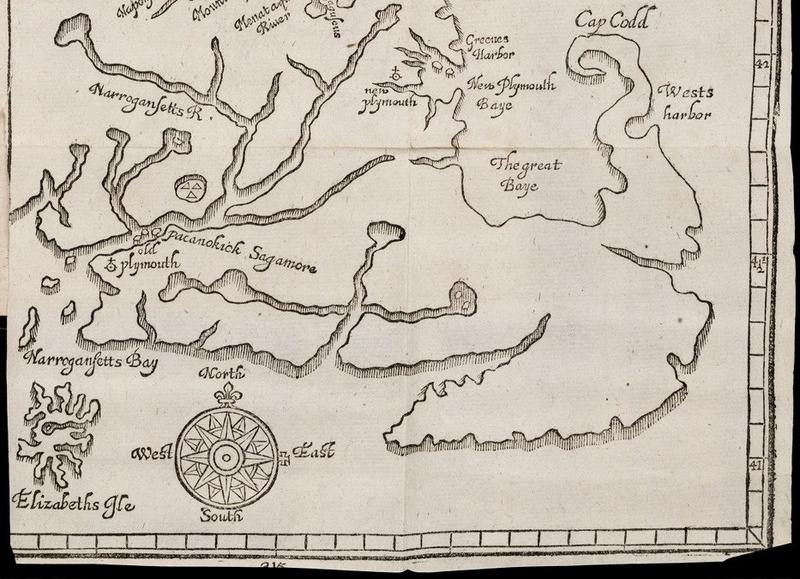 The following 17th century maps are details from larger maps that contain detailed information in and around the Sowams.Heritage Area. 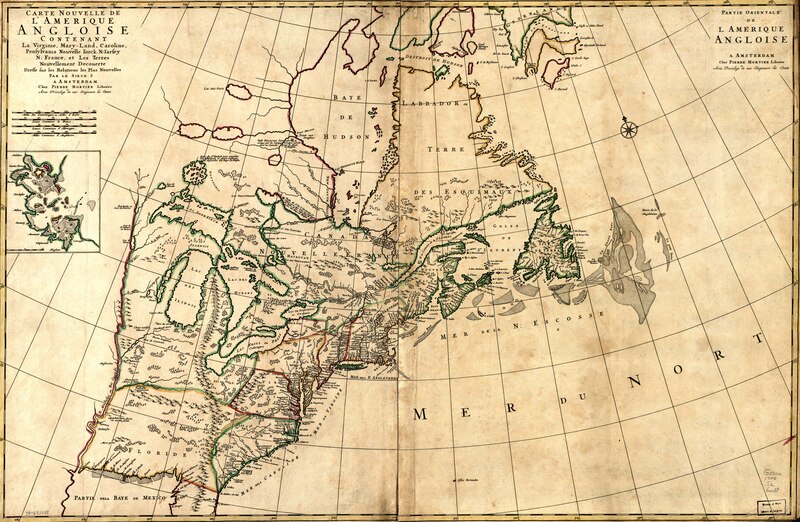 Click on any of the maps below for a larger image. 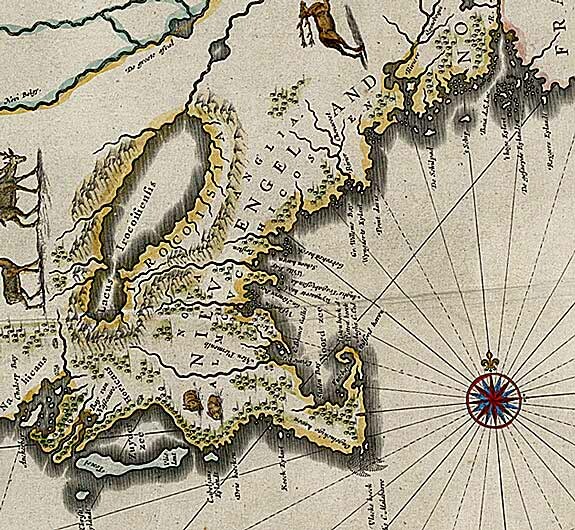 Click on the link next to it for a copy of the entire map. 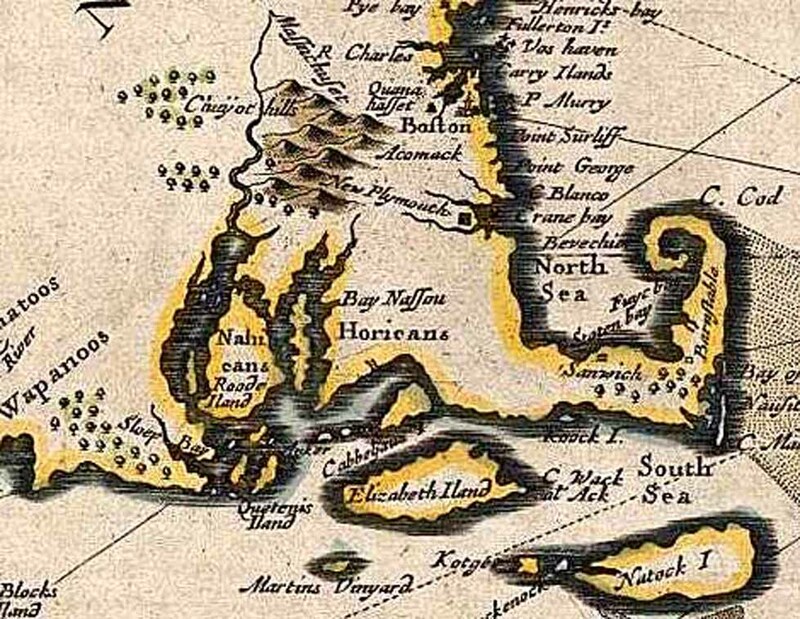 The above map was drawn six years before the Mayflower arrived in 1620. 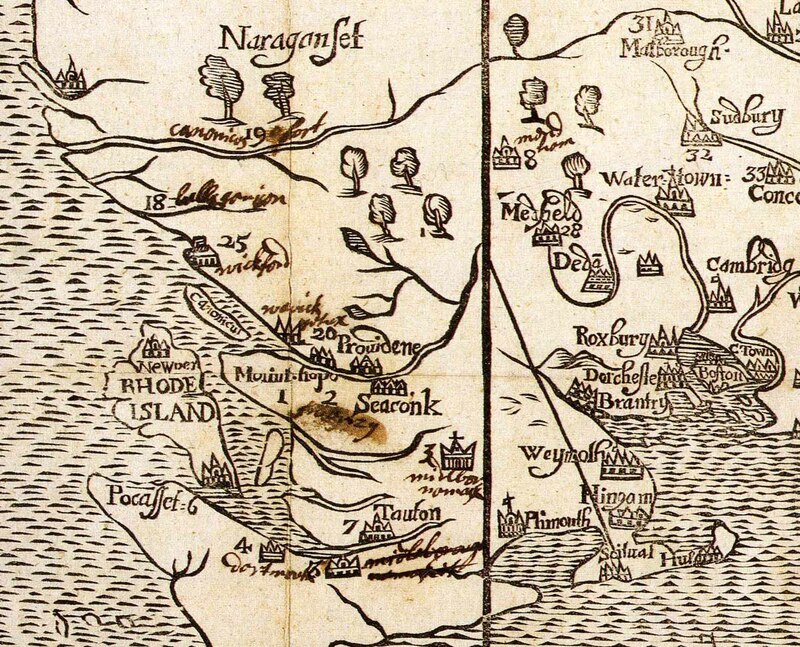 Note the reference to the Pokanoket Sagamore (Massasoit) in what is now Warren, RI before the first English settlements in 1643. 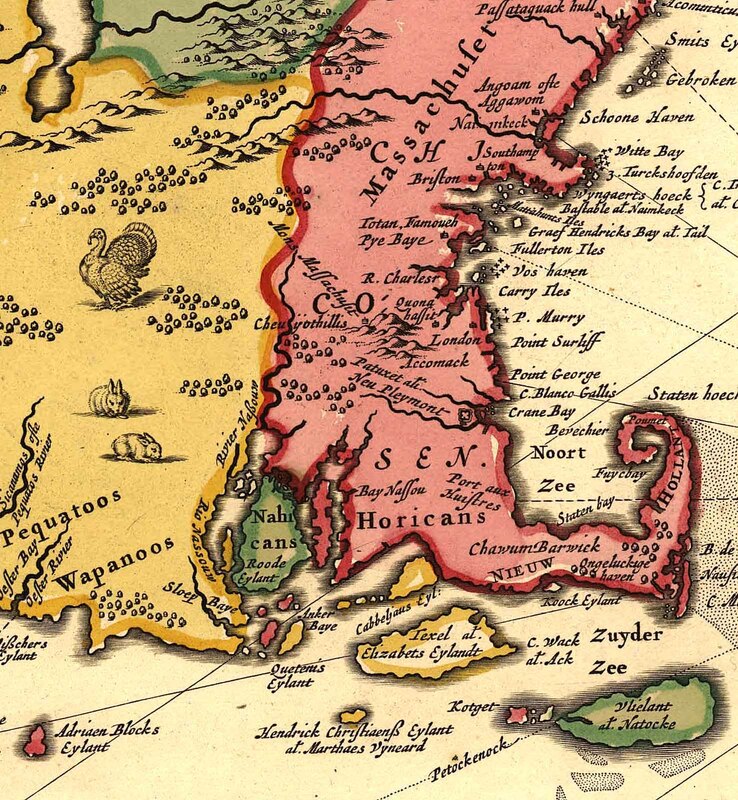 The “Horicans” likely refers to the Mohegans, a tribe in present-day Connecticut headed by Sagamore Uncas. 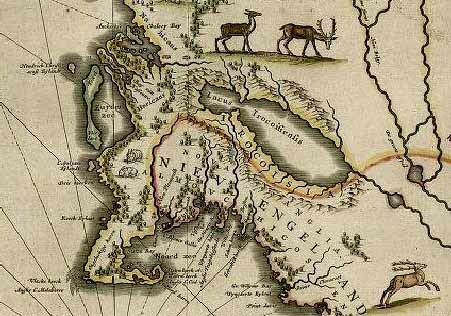 The word Wapanoos was first documented on Adriaen Block’s 1614 map, which was the earliest European representation of Wampanoag territory. 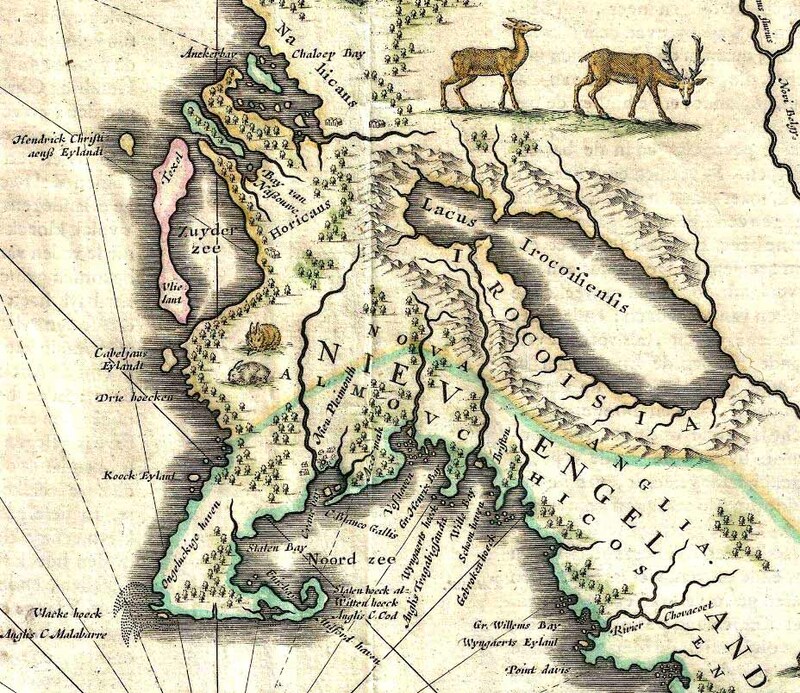 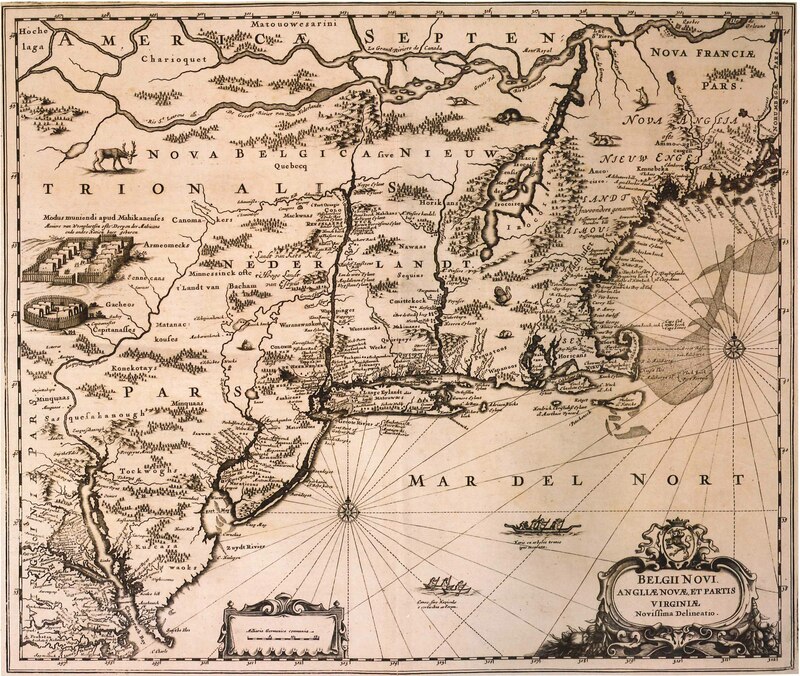 This is the first map known to have been published in the English colonies of North America, and it is probably the first map published in the Western Hemisphere. 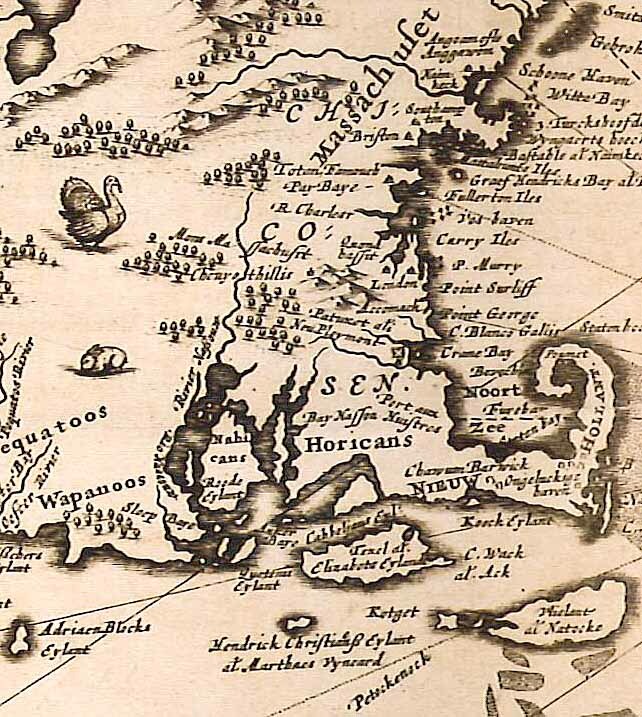 The Town of Swansey,established in 1677, appears for the first time on this map.